At the age of 31, just after selling his first company Kikuchi Incorporated and going into semi-retirement, Erik Kikuchi journeyed to South America where he immediately embarked on his humanitarian work. 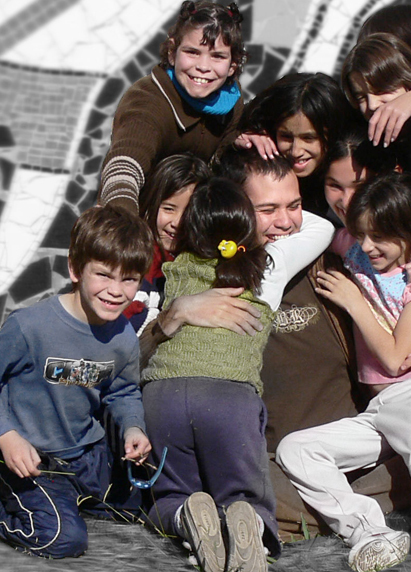 In more than 10 cities throughout Chile, Argentina, Colombia and Peru, he served hundreds of children, through counseling, sharing his story from living in parks to becoming an entrepreneur, providing food and more recently, supporting Christmas parties each year for the displaced children and families in the southern part of Bogota. In 2009, he moved to Mexico City, where he was repeatedly invited to lecture at the Tecnologico de Monterrey University. The following year, Erik Kikuchi delivered a free seminar to an audience of unemployed and rioting utility workers of Luz y Fuerza, giving them a new vision and hope. Luz y Fuerza was one of the most important unions of Mexico and it was closed by the government in October of 2009, leaving 27.000 people out of work. c teachings on life, career and business (with a special edition for entrepreneurs) have served over 270,000 Latin Americans. (as of May 2014). If you're a Non-Profit interested in Erik speaking to your organization, please contact Erik here.